IGNOU results: IGNOU had earlier declared the results for the candidates who had applied for earlier results on the official website. 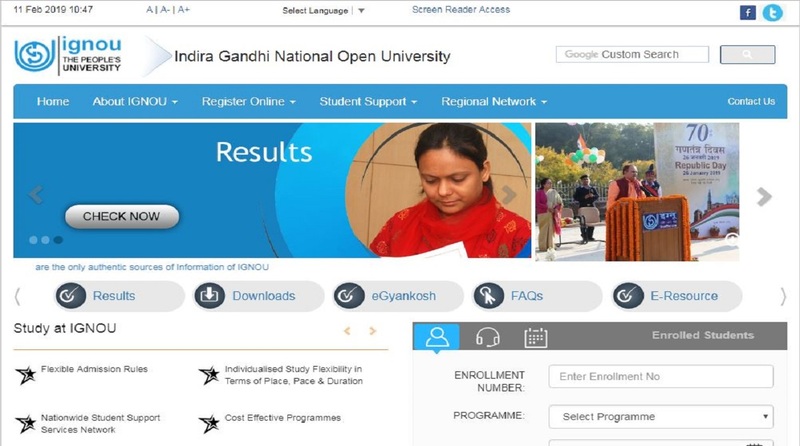 IGNOU results: Indira Gandhi National Open University will release the results of the December 2018 term-end examination soon. IGNOU had earlier declared the results for the candidates who had applied for earlier results on the official website. The December examinations were conducted from December 1-31 2018. • The candidates who have applied for an early declaration of results and have not checked their results can do now by clicking on the direct link here. • On the next page that opens, enter your 9 digit enrolment number and click on submit. • The results will be displayed on the screen. Take a print out for future reference. • All the candidates should visit the official website regularly for more information.